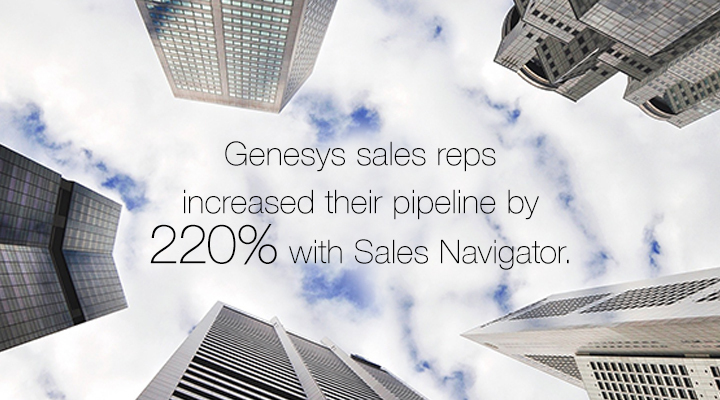 Learn how Genesys leveraged social selling with Sales Navigator to connect with executive buyers. Right now, your sales operation may be running beautifully. All your processes are in place. Your team is full of talented sales reps. Sales are pouring in. But, the day may come when the audience you normally sell to is no longer in charge of the buying process. The decision to buy might completely shift – from an audience you know and understand, to one that’s completely unfamiliar. The executive suite, for instance. A change like this probably will happen, at one point or another. And to stay competitive, your tactics will need to change as well. Will you be ready for it? This was a challenge we faced at Genesys. As a provider of customer experience and contact center software, our sales operation had been historically geared toward selling to IT departments. After all, they were the people who were charged with deploying our technology. However, as the economy grew tighter, more and more businesses started to put emphasis on retaining customers, leading to increased demand from buyers at the executive level for customer experience management solutions like Genesys. As a result, our primary buyer persona began to shift from the IT department to the executive suite. This new audience came with a whole new set of challenges for our team. For instance, we quickly discovered that the traditional sales tactics we had been using were no longer effective. Executives tend to be too busy to respond to sales emails – especially from people they don’t personally know. And they can’t be reached over the phone, as their incoming calls are typically screened by admin staff. 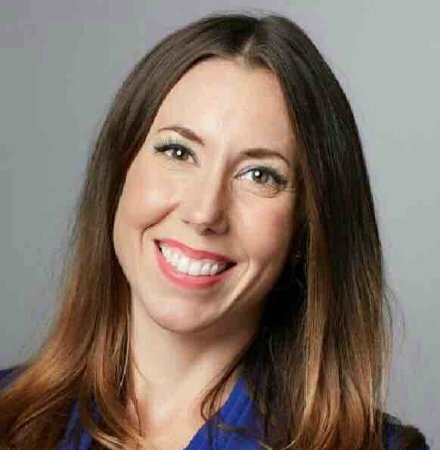 Ultimately, we needed a new way to connect with these new prospects, one that could help us stand out, grab attention, and hold interest. LinkedIn Sales Navigator helps us do exactly that. Quickly identify and connect with key decision-makers from target accounts. Gather insights on leads to better understand their business needs. Use those insights to engage with them in meaningful ways throughout the sales cycle. Sales Navigator gives us all the tools we need to execute this new social selling strategy. For instance, we use Lead Builder to determine who will be involved in the final purchasing decision. We then save those leads into Sales Navigator, allowing us to gather useful insights by viewing their respective social feeds. Finally, we use InMail to connect with executives directly – without having to deal with a gatekeeper. So, has our strategy paid off? Absolutely! Sales reps who use Sales Navigator have doubled their pipeline and increased their win-rate by 16%. And, since Sales Navigator helps us identify and connect with more stakeholders, we’re able to bring more decision-makers to the table – which means we can sell our software to multiple call centers within an account, rather than just one. As a result, our average deal-size has increased by 42% as well. And, when we looked even closer at the data, we discovered that deal-size increases by 165% when a buyer interacts with a post from one of our sales reps. Sales Navigator has quickly become a cornerstone of our sales program, with 46% of our opportunities now being generated through social selling activities. Ultimately, Sales Navigator has enabled our entire team to adapt and evolve to meet the needs of our changing marketplace. We knew we had the right team and the right talent. Now, with the right strategy – and the right tools – we’re confident that we can handle any buying challenges that come our way. To learn more about our successful sales strategy, read our full case study.